Infuse some originality into your wardrobe with this uber handsome Paisley Patterned tie from the Cantucci Menswear Line. 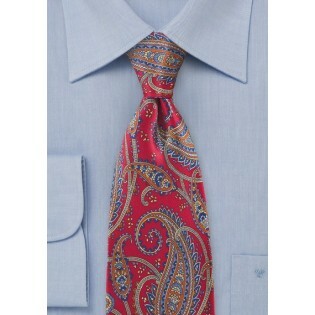 This ornately designed necktie mixes and matches with a broad assortment of patterns and colors. 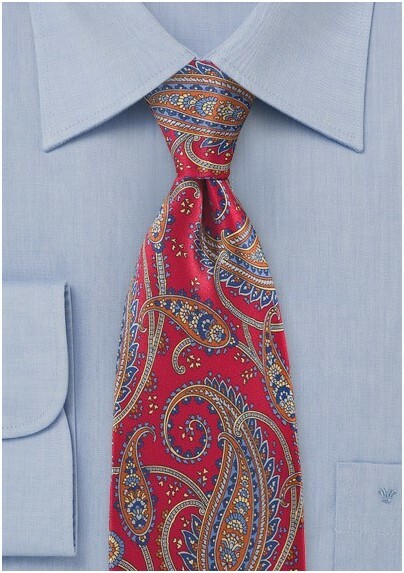 We recommend partnering this designer red tie with a classic white button down, a navy blue suit and bright red pocket square. Artisan crafted from one hundred percent silk.